One of the most powerful and often quoted catch phrases from Game of Thrones has to be “valar morghulis” – a mantra that closely resembles a memento mori. In the Middle Ages, art depicted reminders of our mortality – skulls and other symbols of death. Artists intended these symbols to remind their audience of the fleeting vanities of wealth and other earthly pursuits. A Latin phrase – memento mori, or “remember that you have to die” – came to encapsulate this mortal reflection. Distinct from carpe diem (“seize the day”), memento mori warns against the diversions of wealth, luxuries, and fleshly pleasure. The Christian belief was that these transient pursuits distract us from our salvation. Memento mori appear in numerous late medieval art paintings and sculpture. Two of my favorite examples of memento mori – yes, I do have favorites – are Mary, Queen of Scots’ skull watch and Hans Holbein’s painting, The Ambassadors. Holbein’s The Ambassadors is as cryptic as the Mona Lisa (or at least as enigmatic as The Da Vinci Code presented it to be). Hans Holbein’s The Ambassadors. Some scholars argue that the tiles on the floor represent Westminster Abbey. The text is legible on all of the books and instruments in the painting. Some scholars, such as John North, argue the text on these items conveys mathematically symbolic meaning — and that they indicate times and locations (latitudes). The Ambassadors contains numerous inscrutable symbols. John North’s book, The Ambassadors’ Secret: Holbein and the World of the Renaissance, presents an exceptionally intricate theory about the meanings of these symbols. One of particularly intriguing symbol is the skull that transects the bottom of third of the painting. The skull shown from its traditional viewing angle. At first, it is hard to tell that grey object is a skull because it is so askew. In fact, some have argued that Holbein designed this massive life-sized painting to hang over a stairwell, so the skull would become less distorted as you ascended the stairs (which is perhaps symbolic in and of itself). This technique is known as anamorphosis. The same skull as it might have appeared to the person viewing the painting from the “correct” angle. Click to enlarge. The meaning of the skull, however, is more oblique – no pun intended. Is it meant to convey that diplomacy can be deadly? To remind us that without diplomacy there is death? To warn other ambassadors of the folly of getting involved in the King’s Great Matter (Henry VIII’s desire to marry Anne Boleyn), which some argue the symbols indicate? Double-decker, or cadaver, tombs are an example of memento mori tombs. These tombs depicted two effigies of the deceased: one as the person was in life and the other effigy as a rotting corpse. Although, the double-decker tombs are far from the only other type example. An example of a double-decker tomb. (Image: Wikimedia). Curiously, the Essosi traditionally reply to “valar morghulis” – which means “all men must die” — with “valar dohaeris.” In George RR Martin’s medieval-esque world, the memento mori phrase valar morghulis reminds us of our impending death. The response, however, may reposition that reminder into the land of the living. Valar dohaeris tells us that all men must serve. Serve whom? The gods? Their overlords and superiors? Their fellow men? Is this a reminder like the word “duty” in House Tully’s words? Is the duty to mankind? Interesting feature. The skulls made me think of the medieval “danse macabre” which I’m sure has been mentioned on this blog at one time. In the Catholic Church there is a ceremony of blessing peoples’ foreheads with ashes (from palm leaves from the previous year’s Palm Sunday) where the priest intones when putting the ashes as someone’s forehead “Remember man thou art but dust and unto dust thou shalt return”. Sorry should have said that the blessing with the ashes happens on Ash Wednesday at the beginning of Lent (the forty days leading up to Easter – though I’m sure you know that). This is very interesting! I am re-reading ADWD and currently on the two Arya chapters. The Man-Faced God appears to be the be-all and end-all in this universe. He seems to suggest that R’llor, the old gods of the north, the Seven, the Drowned God, and whatever else out there are all of the same supernatural force underneath. And therefore All Men Must Serve seems to mean to serve this god/deity/force of nature, and perhaps death is one of the ways of serving him, like the Faceless Men. Regarding memento mori, am I mistaken in reading somewhere that a famous Roman general (Marcus Aurelius?) had someone whisper it in his ear whenever he returned to Rome triumphant? Death is the central theme in human life, regardless of whether we confront it or avoid it. Hey Jun, Glad you like it! It is actually on an off-shoot of another article I’m working on. 🙂 I’d need to check, but I believe you’re right. I think it was a tradition to whisper something about mortality in the ear of the Roman general during a triumph. Most probably a coincidence, but I find it interesting that valar morghulis means all men must die which is the litteral translation of the title of a choral by J.S. Bach: Alle Menschen Müssen Sterben. The relationship between the people who spread that phrase, the Faceless Men, and the people who respond with “valar dohaeris”, general Braavosi society, is an interesting one. The people of Braavos are clearly willing to go, in some ways at least, an extra mile for the Faceless Men. A captain was willing to transport a girl to Braavos and with a prized space of a cabin for nothing, in the books a family is willing to let her live with them just because the Faceless Men say so. It’s clear that the Faceless Men are meant to be many things and many references in the story, but I wonder if one of them is that they in a way occupy the same sort of position they view themselves as occupying with Death. 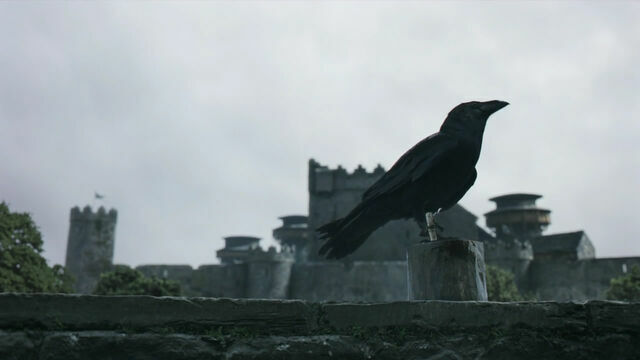 They bring the gift of death and are served, and they serve the being that is death and it gives them its presence (admittedly that’s partially speculation, there’s still a heck of a lot that we don’t know about the Faceless Men and Arya’s chapters make it clear that they lie a lot). Great analysis, Grant! I am deeply fascinated by the Many-Face God and the Faceless Men. They are not simply a secret society that hires out their assassination business. I have scraped my brain to find historical equivalents or inspirations for the FM and so far have failed. Their position in the Braavosi society is also quite strange, as Braavos has its own formal government that does not mix with FM. Fans have speculated that the widely-feared Iron Bank uses FM service to collect unpaid loans. This is consistent with the history of finance, for unarmed money is doomed. But it’s larger than than assassination services. The Kindly Man said something like all gods are in fact the same one, that the one true god is worshiped in many different forms/faces. And this god is death. That is one of the most profound insight on religion I have ever seen. Religion is fundamentally a means to alleviate or relieve our fear of death. It is almost always about death. Also fascinating is the connection between the FM and slavery. The Kindly Man’s story about the first member of the organization (giving the gift to someone who wanted to escape slavery through death) echoes Tyrion’s reflection in his enslavement that one always has a choice in life, even a slave. A slave can choose death. In other words, while no one has complete control over his fate, no one can relinquished all his responsibility in life. This theme of slavery of the body and the mind is, of course, front and center in Theon’s story line. Although the FM has the power to kill anyone they like, they also follow some strict code about who to kill and at least attempt to resist the benefits of this power. (Arya is still struggling with this.) Their role as an impersonal mediator for killings and conflicts (eg, for revenge or financial gain) seems very modern. Another answer to “all men must die” is given by Ygritte – “but today we live” (or something similar). 1.) everybody has to die – thats a fact and true for everybody. 2.) whom or that ideals you serve in live is your responsibility and your privilege. So try making your life worthwile. And you serve, because you cleary can not have everything under your control (death being the final example). – Makes you stay humble and so more inclined to see yourself as a part of humanity (in general) even if you have certain advantages in life. At first I thought this to mean that everybody has to serve according to his station in life…(like the priest, soldier and worker, or according to social class, wealth or so on)… But the Bravoosi, descending from escaped slaves, value freedom of choice and so everybody should be allowed to try to improve his lot in life. It is kind of like that Charismatic (sort of like born-again) Christians sometimes espouse of giving the idea of giving up control to God (because you can’t control life). I don’t know what serve means. I know what you mean about stations, but I don’t think that is quite it like you say. I’d like to think it means God or the community. But, it might just mean that there is always something about you; even the most powerful — the rulers — ultimately have gods above them. This is not related to the post, but I have been thinking of Rickon Stark as the outsider king of at least the North, perhaps a bit like Henry Tudor. I’d love to know what you think.